On Trinidad, guppies live in streams, or portions of streams, that can differ in the species of predators that the guppies have to contend with. Some streams are high-predation environments, others low-predation. 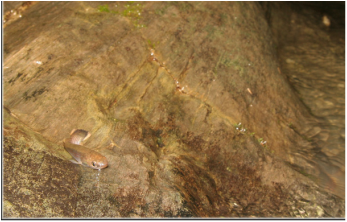 Different predation environments are often right next to one another, separated by a waterfall (which neither guppies nor predators can cross). Introducing predators into low-predation sites, thus increasing mortality rates. Such experiments have shown that species evolve as predicted by theory. We have also found that evolution by natural selection can be remarkably fast, on the order of four to seven orders of magnitude faster than had been inferred from the fossil record. 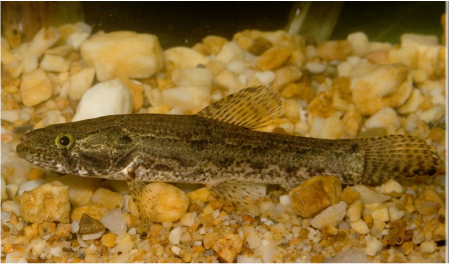 The killifish (Rivulus hartii) follows a similar pattern of evolutionary changes across different ecological settings in the streams of Trinidad. Several traits, however, distinguish killifish from guppies, especially their unique dispersal capabilities. Killifish can tolerate being out of the stream for extended periods and can navigate around barrier waterfalls to colonize upstream environments. Downstream, high-predation habitats contain large predatory fish. Our experiments with killifish have demonstrated that these changes have a genetic basis and can evolve rapidly (within 25 years).